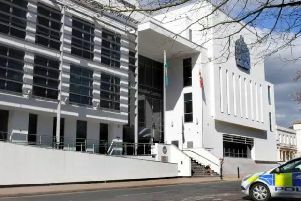 Police are appealing for information after a spate of incidents in Leamington. Four incidents happened in the area between 10.40pm and 11.00pm on Friday (October 5). At 10.40pm in Warwick Road two 18-year-old men were approached by four males in a light coloured Ford - possibly an old style Focus. The men in the car threatened the two men and then chased them. The victims got away. At 10.45pm at the junction of Russell Terrace and George Street a 19-year-old boy was threatened by a group of males and had his mobile phone stolen. At 10.55pm a 19-year-old boy was threatened by a group of males in a car park in Fallow Hill. They tried to steal his mobile phone but the boy managed to run away. A 11.00pm a 45-year-old woman and her 13-year-old son were threatened by three males in Sydenham Drive. They stole the boy’s mobile phone and then fled the scene in a silver Ford Focus. Detective Constable Tom Quinlan who is leading the investigation said: “I would like to hear from anyone who can help us to identify these men or who may have CCTV or dash cam footage in the area.